:: You Better Let Somebody Love You, Before It's Too Late. :: - Dreams are what you wake up from. A few weeks ago I was talking about my petunias. They happen not to be petunias, but fittonias. 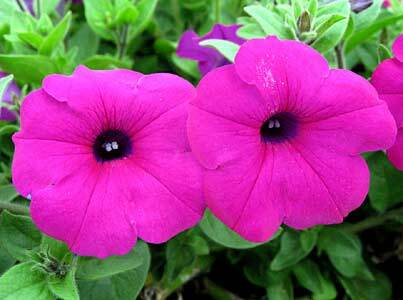 So what is the difference between petunias and fittonias? And has a nice pinkish hue. They tolerate harsh conditions and hot climates. (Or red) leaves, and is best kept in a moist area with mild sunlight. Withering away, as the fittonia is known to be hard to grow. The month turns November, then December, then the year, Thousand Twelve. We are all like riders in a merry-go-round of a spinning top. Life is a blurry whirl, with familiar events that repeat, sometimes, ad nauseum. And potentially, we are left alone, until the top comes to a complete stop. Yet, many of us become afraid to love, because we are tired of being hurt. And stray away from anyone that tries to get close enough to us to get over those barriers. Shy from rejection ends in loneliness. heh heh... agree with what you said. but for the last sentence, (at least for myself), i found myself starting to really love people only when i start to know how to love myself. prior to that, i had mistaken selfishness, infatuation and lust to be love. i really liked how you broke the lines up - from a possibly mundane prose to poetic verses that could possibly bring out that "a-ffect" for this piece. that aside, i would agree with you - the power that words have. over the years, i've seen for myself the difference it can make. then again, it really takes a lot for someone to come out of his or her comfort zone - to speak those words that he or she might never find that courage to say. aside from the risk of having to face rejection, some of us remain single because of many unreasonable expectations from our partner, especially in singapore! the simplest things is the hardest to get. you just want to love but rejection, betrayal and other reasons puts off every passion you have for love. I require your expertise on how to reject ppl hitting on u when u already attached. Can u write something abt that skill set soon? Love represents such strength and wonderful possibilities, dun it? Wow you are reading such an old entry of mine! Lunch or dinner, sometime?